This topic contains 9 replies, has 5 voices, and was last updated by Nassim 1 year, 2 months ago. The plastic polution here in SE Asia is nothing short of incredible. Everything is put in plastic bags; want a coke w/ice to go? Into a plastic bag with a straw. That plastic bag will be thrown away from a moving motorcycle the moment it’s empty; no matter where the person is. The amount of garbage washing up on once pristene beaches is breath-taking. Usian’s have no right to smugness; the water standard for North America is high in the Oregon Cascades at a lake named Waldo. A white calibration disc could be seen 100′ down; at least back in the 8o’s, early 90’s. I used to go there every year and witness the forest service personel shirking their duties failing to confront violators of the water standards and rules of behavior while in the water. I got quite testy with one of the rangers for letting people bath in the lake with soap; to zero effect. My last trip there I saw the beginnings of algae growth for the first time in the lakes history; I’d be all but certain its been degraded hugely since. Curiouser and curiouser; Thailand ranked the least miserable country in the world. I would have no trouble believing that. Venezuela is the most miserable country. What an odd way of scoring ranks of miserableness. When it comes to changing raw data, it seems that there are no limits. Absolutely shameless! So, Homewood is comparing one way of calculating “central tendency” of 1943 data set to a different way of calculating “central tendency” of 2014 data set. The result is not wrong, it’s meaningless. I’m not exactly sure why, but I never see it written about, nor commented on — how consumer loans become a form of theft when they can’t be serviced and repaid. All those people driving around in cars they haven’t paid for, students acquiring worthless educations they haven’t paid for, and the teeming masses with credit card debt for hot tubs, vacations, lavish lifestyles and even groceries they haven’t paid for. Debtors’ prisons might seem excessively punitive, but how else to deter this particular form of theft? It might not be deliberate, of course. People lose their jobs and suffer other hardships that prevent loan repayment. That hardly sounds criminal. People with third-grade math skills are provided with amortization schedules they can’t possibly comply with. Even that hardly sounds criminal. But living high on the hog appears to have become a human right in a lot of people’s minds, and when the economy crashes, I’m betting most of those people won’t hesitate for one minute to screw their lenders. Sometime shortly after the 2008 crash, I remember Gonzalo Lira suggesting that the best strategy would be to take out the biggest loans possible. Then, when the whole economic system crashed to the ground, you’d be holding all that free money with nobody to repay. I hope nobody took his advice, because for one thing he jumped the “crash” gun by at least a decade. But more importantly, what he advocated was criminal theft. Which probably doesn’t bother most people, but it should. I see so many new luxury cars wherever I drive. Sure, they might be repossessed, but everybody’s standard of living suffers when 80% of the general population is “on the take.” There is reason-a-plenty to condemn the elites that run the world, their banks and their captive governments. But let’s be fair — and inclusive — because it’s becoming increasingly clear that the majority of self-serving human beings in all walks of life have moral codes that are far too flexible. Something-for-nothing populism will make post-crash reconstruction nearly impossible. The single biggest problem is economic ignorance on the part of the populace in general. They simply do not understand debt. That, and lacking discipline, make them perfect targets for the galoots; the purveyors of the shiny, the deciples of Edward Bernays. Admittedly, all very powerful forces allied against the unwashed (uneducated) masses. By giving up all responsibility for their actions; they then, by definition, lose their ability to respond. And who took charge — ages ago — of educating America’s children? The ignorance doesn’t end with economics and finance, either. Americans also fail to realize that contract law pretty much supersedes all other law, and bank loans are contracts. But ignorance of the law is no excuse — despite law not being taught in government high schools. One could be forgiven for suspecting that the institution of government per se is everywhere and always nothing but a set-up for various scams. For instance, we pay cops to catch robbers, but the cops rob us with civil asset forfeiture instead. We pay for a *delinquent* investigation to determine who pulled off 9/11 and end-up paying $trillions to murder countless innocents who had nothing at all to do with 9/11. Seventeen years later, the 9/11 perpetrators still run free and unscathed. We pay for regulated borders (ha! ), Obamacare (ha! ), and a space agency that lies to the world about going to the moon (ha ha!). We pay into a trust fund (Soc. Sec.) that is predicted to run out of money! We pay for bread and circuses and all we get is diabetes, fake school shootings and ceaseless, absurd hostilities toward Eastasia. Oops, Russia. Your almost daily invective against stupid Americans does not go unapproved, V.A. As I recall, around 1853, forced, public education was implemented. It followed the Prussian model; but, it’s important to understand the origins of the Prussian system; the original archtype was the Hindu school of India. The Hindu school was especially effective in inculcating passivity in its students (key point). 1853 would mark the beginning of the end of genuine education and thus critical thinking skills. I failed at every point in grade school, highschool, and finally multiple universities and colleges. That failure has served me well; I bloody well had to educate myself and at 73 (in 3 months), it’s a never ending process. So, yes, economic’s is just one of many subjects Usian’s fail to grasp; which should be blindingly apparent in today’s world. All I am trying to show is that common sense has gone out of the window. 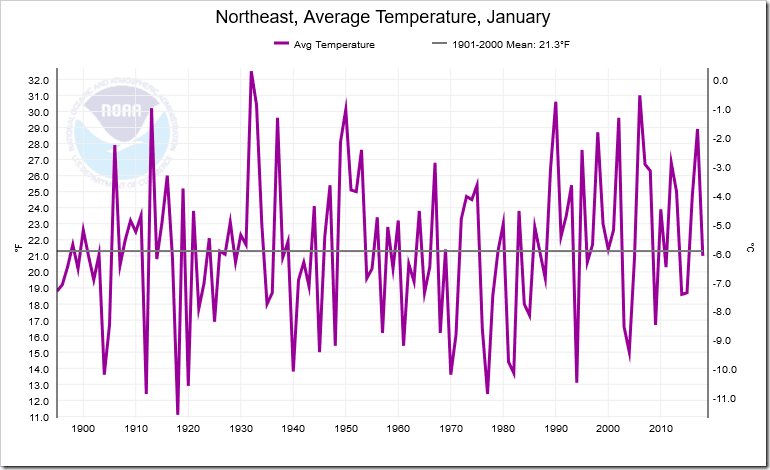 Reality – a very cold January in NE USA – take a backseat to lies.